Technology to drive business goals. Coffs Harbour & Port Macquarie. 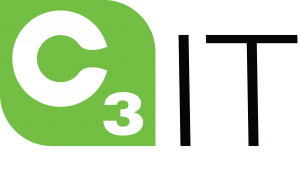 C3 IT gives you access to a partnership where we will manage the tech load, freeing you up to focus on what matters most – your business and customers. Gain more efficient internal processes, heightened security, data protection, fast support and state of the art hardware & software. It all starts here. At C3 Group, we live and breathe technology – managing and supporting tech environments is what we do best. Our Managed Services Agreements give your company peace of mind that you have a team of experts ready to provide you with guidance and support, and equip you with the tools you need to work productively and efficiently. 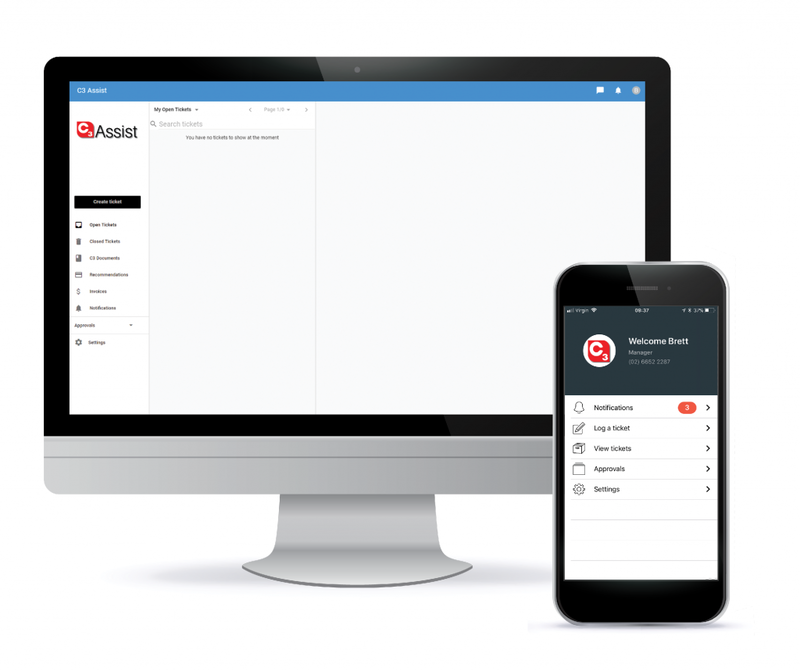 Our agreements are completely customisable – we make sure each is tailored to suit specific business requirements; after all, there is no one-size-fits-all when it comes to business tech. Learn more about our Managed Services Agreements. Our Managed Services are available in three tiers and run on an annual basis, with month-to-month billing. When you’re partnered with us, you’ll have access to our team of 30 staff, ready to assist you in areas ranging from IT Support, to Branding and Website development, to getting business grade hardware for your team (and everything in between). 62% of all cyber-attacks are targeted at SMBs? Or that SMBs are targeted by cyber-attacks at least 4,000 times a day? What's worse, is that 60% of SMBs close within 6 months of an attack, as they can't recover. We’ve seen the devastating impacts cyber-attacks can have on businesses who aren’t properly protected, that’s why we’re passionate about supplying businesses with protection at every layer of their technology environment. Through thorough (and continuous) trials and testing, we’ve developed a multi-layer security solution businesses can utilise to give them protection at every vulnerable point of their business. Learn more about our security stack. Protecting the devices you use everyday. Protection for the engine that runs your business. Security for a viruses most used delivery path. So you and your people can browse securely. Filtering all data coming in and out of your systems. Training your staff to be your strongest form of security. Plus we have a team that constantly monitors and updates systems in the background to ensure your company is protected against new threats. We're vigilant, so you don't have to be. Backups make your business secure. Business Continuity makes your business invincible. Backups are imperative to protecting your business. No matter how many security solutions you have in place, there’s never a 100% guarantee that a cyber-attack won’t slip through the cracks. So if your data is compromised, and there’s nothing backed up, there’s simply nothing to recover. This doesn’t just go for cyber-attacks either… Also important to consider is natural disasters, human error and theft. If your business can’t afford extended down-time that would generally come hand-in-hand with disasters, say hello to your new best friend. In the event of a disaster, Business Continuity means that your company has the luxury of being booted up on-premise or in the cloud in minimal time. With C3 BusinessContinuity, you receive onsite backup, offsite backup replication, local and cloud based business continuity, Australian data centre storage and a premium fail over solution. Learn more about protecting your business & reducing down-time. We supply businesses with the tools they need to run efficiently. Think devices like servers, desktop computers, notebooks, printers and phone systems (just to name a few). Our solutions come with three-year, on-site support and next day replacement warranty, plus professional or enterprise versions of Windows – meaning the software driving your day-to-day work is as effective as possible. We can also ‘build’ equipment that is custom to the requirements of your business. When we’re recommending hardware or software to a company, we’re thinking about solutions that are fit for purpose, easy to use and those that offer safety and minimal down-time, not just the latest and greatest deal – that’s our promise to you. Enquire about our Hardware & Software solutions. Learn more about Tech Audits. Wondering if your IT provider is delivering good value to your business? A new, or progressing or expanding company looking to bring on a Managed Services Provider? Frustrated with poor technology performance and want to understand where that pain’s coming from and how you can fix it? 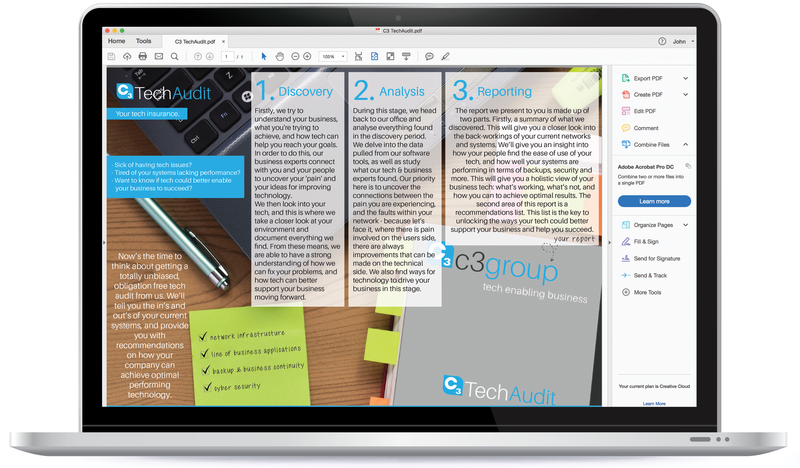 Whatever reason you might be considering an Tech Audit, we think they’re a fantastic opportunity to learn the ins and out of your business tech. Engaging in a tech audit gives you the knowledge you need to make informed decisions about your business foundations moving forward. We provide you with an unbiased snapshot of your tech environment, so you’ll be able to know if you’re really getting value from your IT Provider, any employee and business pain points, and where to best allocate budgeting to help your IT help you. Management has enough to think about without having to constantly have their business tech in the back of their minds. This is where the Virtual Chief Information Officer (vCIO) comes in. They are your personal Information & Communication Technology (ICT) knowledge base, on hand to assist you in planning, road-mapping, budgeting, and implementing the tech your business needs to thrive. Knowledge & real-world experience in strategic ICT analysis and solutions. The ability to link business goals with technology trends. A keen eye for trends that are likely to effect customers. Experience in budgeting for ICT. Extensive understanding of ICT road-mapping to meet future business objectives. Industry know-how and a long-standing reputation. Extensive knowledge and experience gained from 23+ years of being in business. Professional guidance in ICT budgeting, planning and solution implementation and maintenance. Superior support and knowledge in project planning, management and installation. Far lower costs when compared to having an in-house CIO. A professional team working with the best interest of your business in mind. An innovative and proactive approach for a competitive advantage. Enquire about our vCIO services.